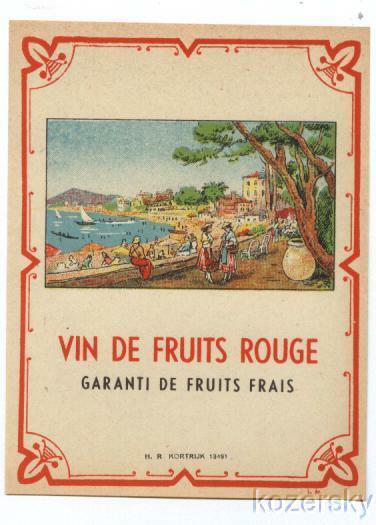 Old French Vin de Fruits Rouge red wine label with delightful seaside scene. This label measures about 3 1/2" x 5", excellent condition with no tears, bent corners, or creases. This unused, mint label, would be a great gift to a friend or loved one, or yourself.